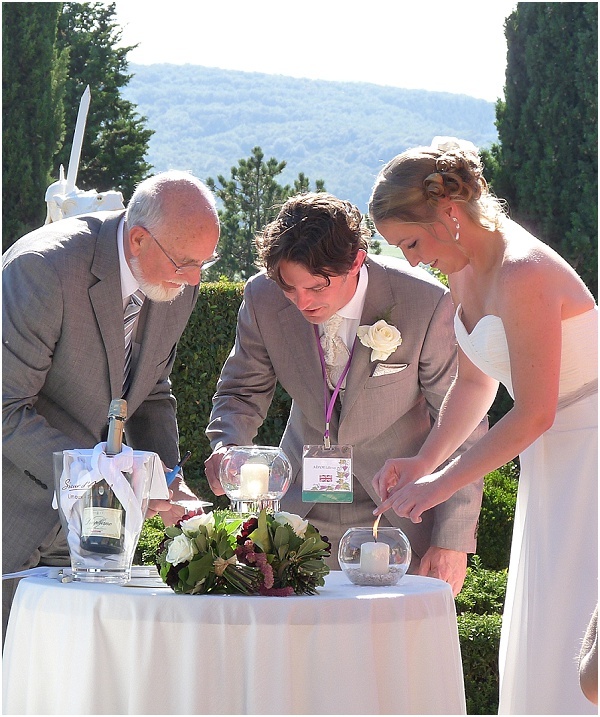 For anyone planning their wedding in France, I am delighted today to open The Study doors in the next of the Meet the Experts posts, where we get to meet one of the unsung wedding professions, that of wedding celebrant with Weddings Words and Wishes. Run by couple Ray and Cherry, Weddings Words & Wishes offer non-sectarian marriage ceremonies based on Humanism. Composed by former Engineer turned Marketing Manager Ray, his model text is offered to the clients in English and/or English-French combined to use as it is, or amend and add to their own vows. 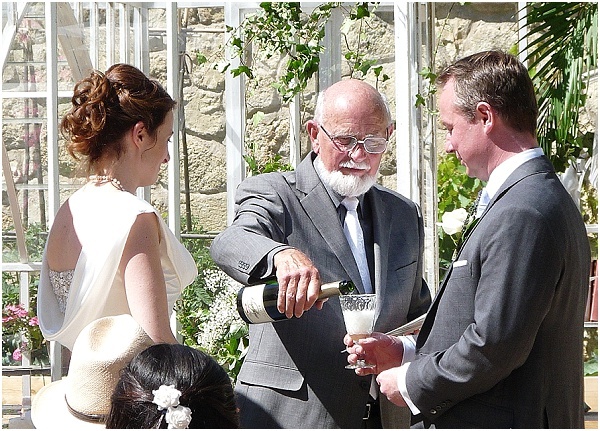 Answering an advert back in 2010 ‘Chateau needs Celebrant’ the couple have been proud to be involved in many weddings, elopements and vow renewals which they combine with their love of gardening, concerts and wine. 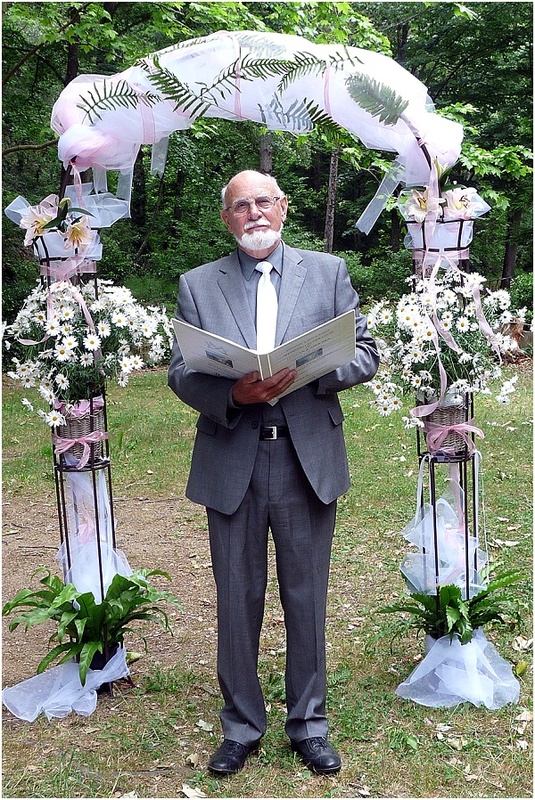 Ray says: ” We aim to work with the bride and groom to create a personalized ceremony perfect for their needs and supply them with a ceremony script which they can alter and/or add to as they wish. We offer advice on flow / balance and length as well as content throughout the process. 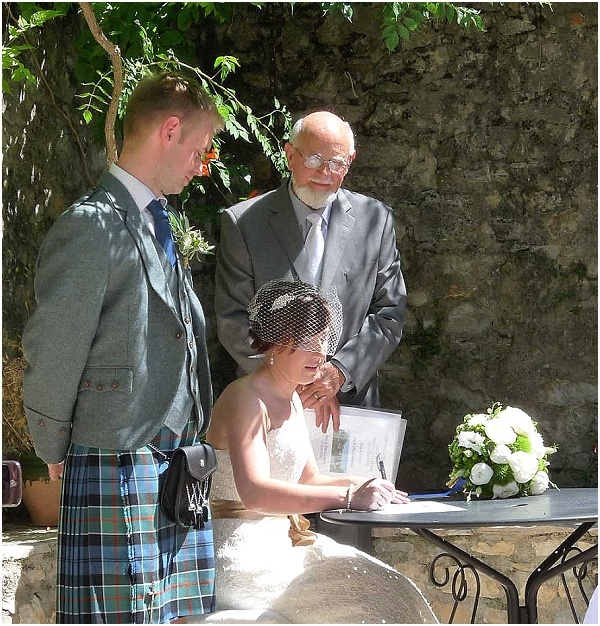 Although not a legal ceremony, our couples feel that their wedding in France is more than a blessing – It is their ‘true wedding,’ the one they will remember. 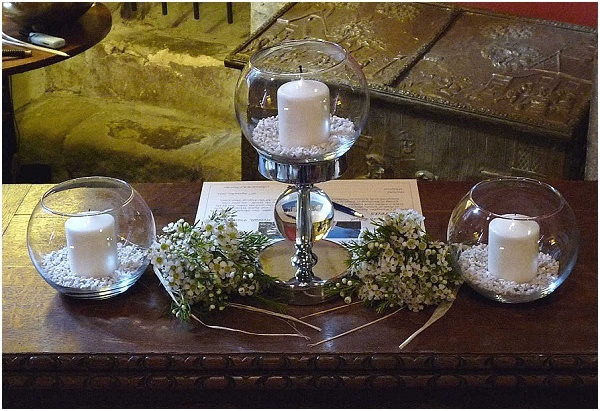 Many people are unsure of the process of working with a celebrant, but our aim is to make their wedding planning easier, while creating a bespoke service. 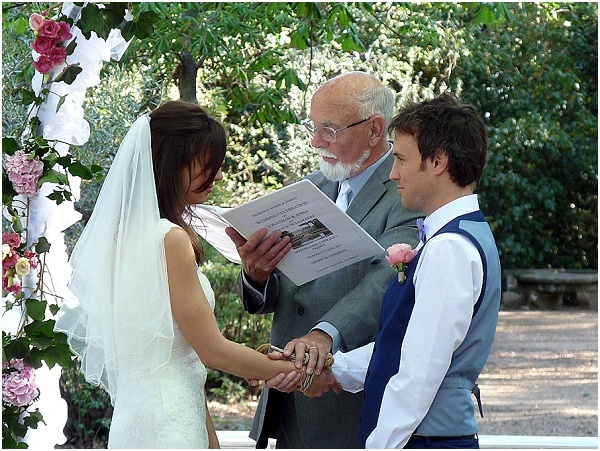 In addition to the wedding ceremony text we send them documents to aid wedding planning such as; 1) Ideas for readings and poems for family or friends to read during the ceremony. 2) Helpful Hints on planning a ceremony and 3) A sample marriage declaration for signing during the ceremony. We ask for a deposit to secure the date and we send them a Registration Form to complete and return. Script etc. are then sent and it is then for the clients to choose elements they would like to include in their script or add in any of their own! All of our clients are planning destination celebrations, but being able to skype, or meet face-to-face, getting to know them and giving them confidence in us is the key. A good working relationship with the client follows. It also tells us about them. We have worked with clients from Australia, New Zealand, China, U.S.A Canada, Denmark and Norway as well as UK, France and Eire. On the day of the actual wedding we would arrive at least an hour before the ceremony to relax the couple and make sure everything runs smoothly. The Loving Cup: a glass goblet filled with our local Blanquette de Limoux to share and then keep to use again on their anniversary. 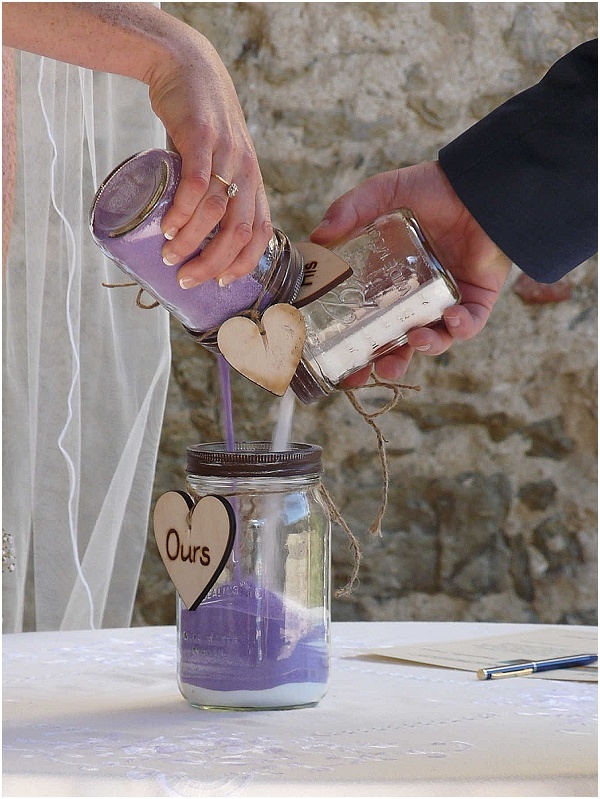 The Candle of Unity in Marriage. Lighting a Candle for Absent Loved-ones. As part of the service clients are happy to find they keep their Script folder: a keepsake to take home of their words, complete with music selection and Readings. The best thing about us here at Weddings Words and Wishes is that we are a team: Cherry takes care of the admin and contact with the client before the day. We can both be involved for skypes and editing and advising on the script and, of course, performing on the day! We are always aware that this is the Bride and Groom’s Magic Day and do our best to make sure their ceremony is perfect and memorable. This applies two-fold when we learn there is a baby and we suggest they add the Baby Naming as a follow-on ceremony. Amazing! My time as a celebrant so far has been filled with funny stories including; a four-yr-old page boy, who couldn’t be persuaded to part with the rings, a Groom who drank all the sparkling wine in the Loving Cup leaving none for his Bride, a Groom who forgot to give the rings to his Best Man before the Ceremony -we had to delay the bridal party while he scaled 4 flights of spiral stairs in the chateau turret to get them – maybe not funny at the time. Our favourite part? The moment you know the couple are relaxed, enjoying it and will remember their Wedding Ceremony always. 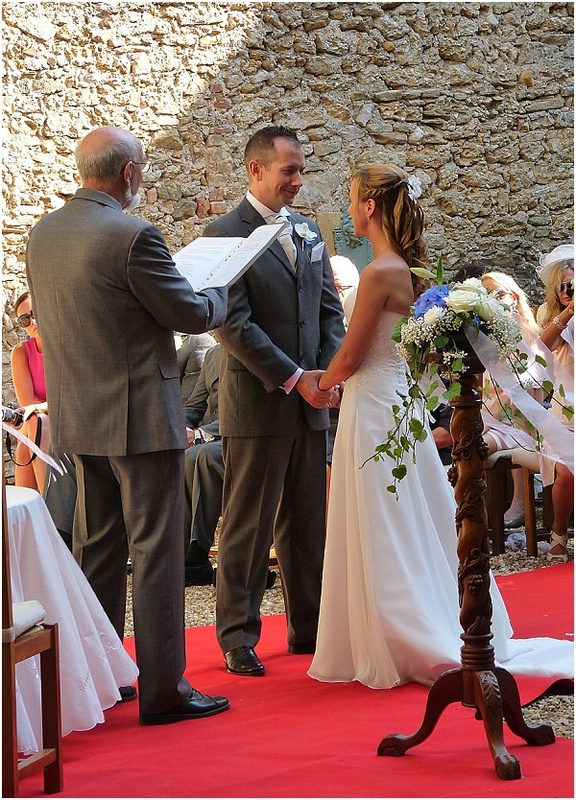 To find out how Weddings Words and Wishes can be your wedding day celebrant visit www.weddingswordsandwishes.com or see their contact information below. A wonderful couple, who take care for your best day of your life. Highly recommended.